Broom finishing your concrete sidewalk or walkway helps make the surface slip resistant. It also adds interest to the finished concrete texture. You can have your concrete driveway, sidewalk, walkway, pool, floor, countertop or patio beautifully broom finished by Van Midde and Son Concrete. Broom finishing concrete is something of an art. Decorative effects can be created by running the broom texture in various directions on the wet concrete. Typically, decorative concrete surfaces are not broom finished, but dyes and stains can be applied very successfully to broom finishes. Even stamped concrete finishes can be broom finished. Van Midde and Son Concrete are experts in broom finished concrete. If you are interested in beautifying your home or business with broom finished concrete, call us for a free estimate. 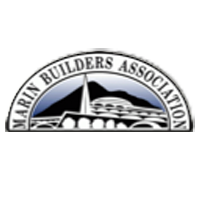 We have served customers throughout Marin County, Sonoma County and the San Francisco Bay Area for more than 50 years. We are located in San Rafael, and we can help you with any size of concrete project.